Darling 11.5oz glass stemmed goblets make a great gift! 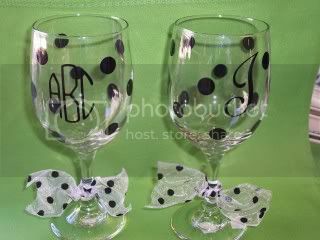 These stemmed glasses are decorated with one or three letter monograms and polka dots in a variety of fonts. 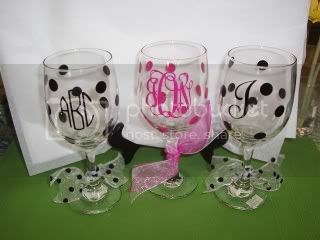 Make a toast with these fun goblets at your next party!